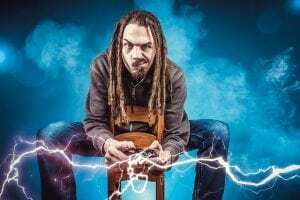 Home » Blog » Community Health » Do You Have A Gaming Disorder? Image is courtesy of Pixabay. The World Health Organization (WHO) has added “gaming disorder” as a new mental health condition listed in the 11th edition of its International Classification of Diseases. Previously, the Diagnostic and Statistical Manual of Mental Disorders (DSM-5), a handbook used by health professionals in the U.S. and other countries to help diagnose behavioral health disorders called out “Internet Gaming Disorder” but says the condition warrants more clinical research before it can be classified in the book as a formal disorder. WHO points out that all people who participate in gaming should be aware that gaming disorder is a real condition, and that it’s important to be mindful of how often they play video games. In general, parents should limit the amount of screen time their children have daily, and gaming is included in that, along with TV, computers, phones, and tablet use. The recommended screen time for children two to five is under one hour and two hours for children five and older. 3) Gaming causes significant distress in a person’s relationships with others, as well as their work or school life. In order to be diagnosed with a gaming disorder, you must engage in this behavior for at least 12 months. Scripps Health identifies the following health risks for those who get too much screen time. Headaches, neck aches, backaches and shoulder aches. Your neck muscles are supporting the equivalent of 60 lbs. when you check email or text causing pain. Repetitive use injuries. Tendinitis and carpal tunnel syndrome are just a couple of the ways your body may rebel against prolonged computer and gadget use.